If you manage a fleet of vehicles, you know it takes a lot of time and effort to keep your fleet on the move. When vehicle inspection reports are required by regulatory bodies (DOT, MOT), you know maintaining a healthy fleet will not only reduce risk of breakdown but also prevent penalties and fines. 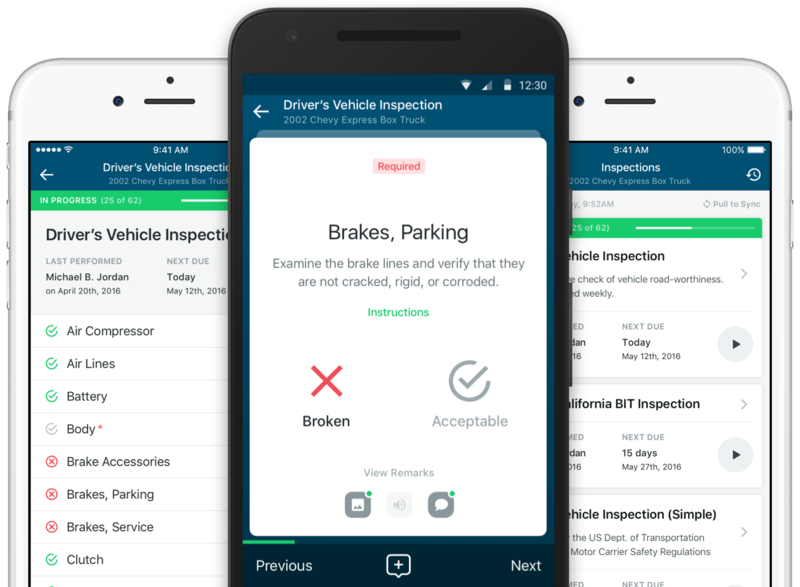 When DOT vehicle inspections are required daily, it can be time consuming and error prone to handle these with pen and paper. Luckily, there’s a new, modern way to perform and submit required vehicle inspections!